... doesn't matter who you are..............! 'Cause when you wish upon a star, your dreams'll come truuuuuuuuue!! 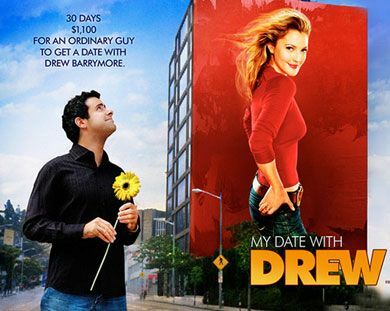 Just watched a great movie/ documentary called "My Date With Drew". One American Average Joe's quest to get a date with his childhood celebrity crush, Drew Barrymore, in 30 days and funded by only $1,100 (which he won on a game show). Sounds so boring and typical, right? Go watch the movie and find out lah.... I don't want to spoil it for you. You can find out more about it at the Official Website: http://www.mydatewithdrew.com. So, who wants to help me make a video and set up a site called: "My Date With Brad Pitt"?